I’ve just been experimenting with some too. I will point you to some of the science but will cover my experience with HVMN Ketone in lay terms covering my test experiences with the product as well as aspects like suggested consumption protocols and methods. Why Might You Be Interested In Reading This? HVMN Ketone & Me – What next? As we are looking at race distances of over an hour, that’s easily going to cover many running, cycling and multi-sport/triathlon distances. And we are looking at a product that claims to produce notable performance gains from a substance occurring naturally in the human body. There are also other claimed benefits that I will cover as well. It’s beta-hydroxybutyrate ketone ester – D-beta HB (BHB) in the chart below. One of the problems that endurance athletes have is that the availability of energy from carbs is limited and the production of energy from fat stores is too slow. We might know that there is a fixed absorption rate of glucose/fructose energy sources through the gut. That absorption rate is 90g/hour in a 2:1 ratio (60g:30g) and explains why some more ‘advanced’ energy drinks from Lucozade (Elite), SiS and High5 (link to high5.co.uk) comprise that same ratio. Once you have used up your body’s carb stores then you can only get more carbs at that rate. However the chart above suggests there might be a sneaky little way to get around the limit of 90g/hour by using BHB. Improved recovery (muscle glycogen, muscle protein synthesis). Hey! The first one sounds good, right? That got my attention too. HVMN Ketone is not a cheap product. I was sent 6 free servings by HVMN ($200) that I wanted to use for several events. My eventual, intended ‘test’ in a 100-mile bike ride/race required a consumption protocol for two bottles. So I didn’t want to waste it relatively trivially in training. I decided to do a quick experiment a few days before the race to see if I could take the HVMN Ketone alongside my normal race-day supplementation with no ill-effects. I also hadn’t had a go at a swim PB/PR for a while so, hey, why not combine the two? I did NOT expect HVMN Ketone to deliver a PB/PR over a short distance but I hoped I would be able to workout whilst using it with no ill effects. I also wanted to check and ‘prove’ to myself that blood ketone levels changed. I took an initial reading for Ketone and Glucose before immediately taking my pre-race supplementation which comprised several, legal/approved substances, including a carb sports drink. I took another set of readings 30 minutes later in the pool car park before changing and warming up. After finishing and changing I took a further set of readings. I am not claiming this to be any kind of scientific test. Clearly, the ketone levels could have been raised by things other than the HVMN product that I ingested. HVMN supplied me with 6 bottles of their HVMN Ketone product and a blood test kit called “Freestyle Optium NEO“. The blood test kit can be used by diabetics, I believe. Essentially you lance your skin and bleed slightly on a strip which has previously been inserted into the reader. Inserting the strip turns the reader on. After about 10 seconds the reader presents the result for each test. HVMN expect blood Ketone levels to rise to something along these lines after taking their product in conjunction with normal pre-race supplements that include carbs. At +60 minutes I did a 500m VO2max swim effort. My first two Ketone readings are ‘about right’ compared to HVMN’s chart. The final reading is after exercise so it would not be unreasonable to expect that both the Ketone/Glucose values would be lower than on the above chart as they may (would) have been used in the workout. Here are the actual readings. Note the reader displays ‘KET’ for the Ketone reading. I was 10-15 seconds off my PB/PR. At the moment I would say my swimming is not in as good a place as it was a couple of years ago. So that performance was ‘about right’ for a near-maximal effort. I’d say the HVMN Ketone neither particularly helped nor hindered even though my body probably used it to fuel the exercise in part. But this was a VO2 effort, not an endurance effort, so this lack of help/hinderance was to be expected. I did feel a slight ‘warmth’ in my stomach when I took the HVMN product but didn’t ‘feel’ particularly good or otherwise. At least no more so that I would expect in a taper week. This is a large, closed-road cycling event in London and the hills of Surrey with 26,720 entrants, covering 100 miles and a profile like this. Over a similar course the pro’s race averaged 25mph but the winning time of my race was probably about 4 hours as well. (Results: here; and here for Cav and Greipel). Turning to the chart to the right again. That shows notably higher ketone levels from, say, 30 minutes to over 2 hours. 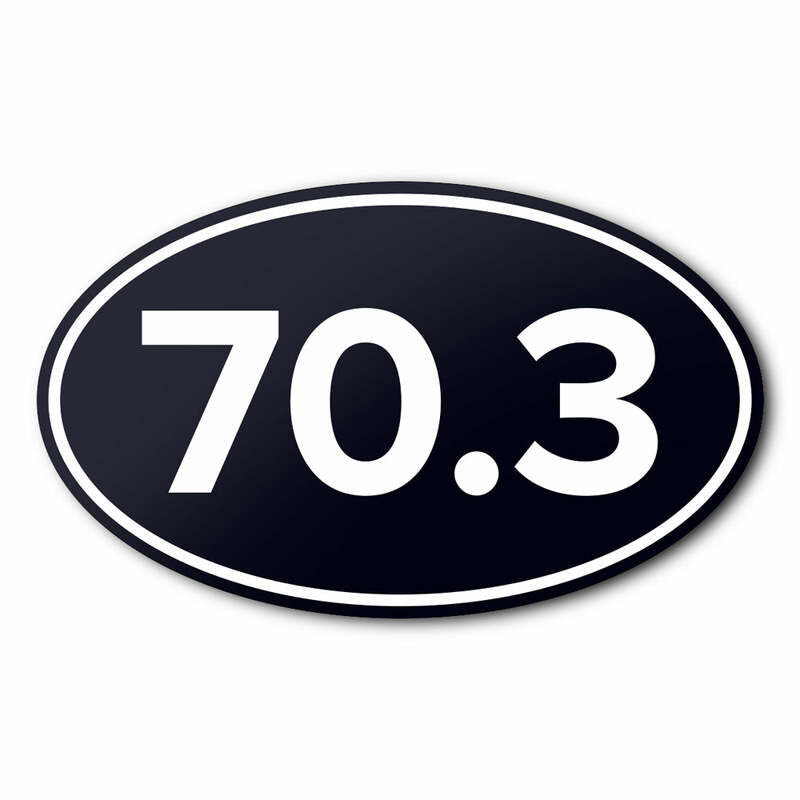 However, I’m not entirely clear as to the longevity of the ketone levels whilst exercising at race level intensities. IE if you are burning the ketones they will NOT last 4 hours at those elevated levels. Indeed that’s probably why HVMN suggest refuelling every 1.5 to 2 hours. I don’t profess to be able to complete Ride London in 4 hours but one bottle on the start line and one bottle after two hours seemed reasonable enough. 45-60 minutes prior to effects being required. Whilst this might deliver a greater focus in some skill-based sports, I’m assuming that time period relates to claimed sedentary cognitive improvement benefits. OK. You can just open the bottle and drink it. But the nuances are not quite so simple. The fairly rigid bottle is like the size of a small perfume bottle (65mm x 95mm @94g) or 2ish beet-it shots. So it’s not a trivial thing to carry with you during a race. Unscrewing a bottle whilst cycling is not beyond most of our abilities but I guess we’d rather not. It *CAN* be mixed with your carb drink and that’s what I did for Pru Ride London. I mixed it with the second bottle that I’d probably start drinking sometime after one hour. But on longer cycling races you either have to start carrying lots of water bottles or mix it as you go or carry the largish bottles as you go. Or you have a domestique or two. So once you need a 3rd bottle after 4 hours, or so, then you also need to think about the practicality of how you are going to carry, mix and consume it. The supplied bottle format is not ideal for these longer distances. I don’t know if it can be concentrated or powdered – I’m assuming not. I WOULD assume that a sachet-approach could work but, at the current concentration, twice as many sachets as bottles would be needed. Let’s say a normal sachet size every 45-60 minutes. And, again, over a long race that would involve carrying over 6 sachets (the sachet format does not exist). Turning to a faster marathon runner aiming for 2.5 to 3 hours then you would need to carry that second bottle. Most runners at that level, or better, would not have a pocket to carry this bottle. Even if you did have a pocket, the bottle would bounce about a bit unless it was a snug fit. In terms of the timings of a consumption protocol, a HIM triathlete would probably be alright and able to fully fuel on the bike with HVMN. Note: Max recommended consumption is 3 bottles in 24 hours. 3 bottles = 6 hours race time for a 70kg racer. However an IM triathlete would need to fully fuel with HVMN on the bike or check the size of their tri-suit’s pockets. As you can see above it fits easily in one of my tri-suit’s pockets. But, as also indicated above, it would annoyingly bounce around a bit unless other things were in the pocket as well. Hopefully that’s given enough info for you to think how that might fit into your race-day routine. Please note that if you look for general scientific papers around ketones then HVMN will say that such findings do not apply to their product. Their product is beta-hydroxybutyrate ketone ester. 1. Clarke, K., Tchabanenko, K., Pawlosky, R., Carter, E., Todd King, M., Musa-Veloso, K., Ho, M., Roberts, A., Robertson, J., Vanitallie, T.B., et al. (2012). Kinetics, safety and tolerability of (R)-3-hydroxybutyl (R)-3-hydroxybutyrate in healthy adult subjects. Regul. Toxicol. Pharmacol. 63, 401-408. 3. Shivva, V., Cox, P.J., Clarke, K., Veech, R.L., Tucker, I.G., and Duffull, S.B. (2016). 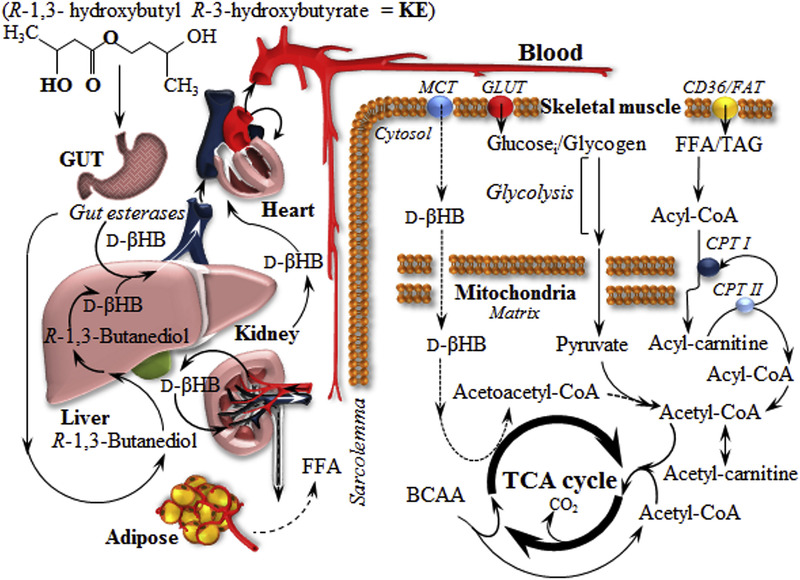 The Population Pharmacokinetics of d-β-hydroxybutyrate Following Administration of (R)-3-Hydroxybutyl (R)-3-Hydroxybutyrate. The AAPS Journal, 1-11. 4. Cox, P.J., Kirk, T., Ashmore, T., Willerton, K., Evans, R., Smith, A., Murray, Andrew J., Stubbs, B., West, J., McLure, Stewart W., et al. (2016). Nutritional Ketosis Alters Fuel Preference and Thereby Endurance Performance in Athletes. Cell Metabolism 24, 1-13. 5. Holdsworth, D.A., Cox, P.J., Kirk, T., Stradling, H., Impey, S.G., and Clarke, K. (2017). A Ketone Ester Drink Increases Postexercise Muscle Glycogen Synthesis in Humans. Med Sci Sports Exerc. 6. Vandoorne, T., De Smet, S., Ramaekers, M., Van Thienen, R., De Bock, K., Clarke, K., and Hespel, P. (2017). Intake of a Ketone Ester Drink during Recovery from Exercise Promotes mTORC1 Signaling but Not Glycogen Resynthesis in Human Muscle. Front. Physiol. 8, 310. 7. Stubbs BJ, Cox PJ, Evans RD, Cyranka M, Clarke K, De wet H. A Ketone Ester Drink Lowers Human Ghrelin and Appetite. Obesity (Silver Spring). 2018;26(2):269-273. 8. Myette-Cote E, Neudorf H, Rafiei H, Clarke K, Little JP. Prior ingestion of exogenous ketone monoester attenuates the glycaemic response to an oral glucose tolerance test in healthy young individuals. LID – 10.1113/JP275709 [doi]. 2018(1469-7793 (Electronic)). 9. Newport, M.T., VanItallie, T.B., Kashiwaya, Y., King, M.T., and Veech, R.L. (2015). A new way to produce hyperketonemia: use of ketone ester in a case of Alzheimer’s disease. Alzheimer’s & dementia: the journal of the Alzheimer’s Association 11, 99-103. My understanding from actual sports scientists that I’ve talked to is that a ketogenic diet does not have proven performance effects. The HVMN product is NOT claiming to have the same effect as a ketogenic diet. Please feel free to add any critical comments (or other!) about the research, below. I’ll ask HVMN to respond. I am not a scientist. Overall times were probably down because of the weather (wind/rain) and there were many punctures. I got one puncture and took a while to fix it. To the point where it messed up my power stats. Despite that, if I (correctly) INCLUDE zero power periods then STILL I got a 12 month power-duration PB for over 4 hours. 2nd best, all-time performance over 4 hours. I would temper that by saying that I rarely go over 100 miles non-stop. So, for example, a London to Brighton return ride with mates would be interspersed by lunch and the power-duration stats go to pot as a result of the break. On the other hand IMUK 2017 (my best >100 mile, > 4hour power effort) for me saw me: fitter on the bike; obviously saving myself for the run to follow; no punctures; and possibly having positively skewed power readings from oval chainrings on my TT bike. I would say I felt stronger than on any previous Pru RideLondon and I don’t feel too tired today (the day after). There was more in the tank, for sure. I added the (single) HVMN to my aerofill hydration system on my TT bike along with some High5 dual carbs. I started drinking immediately on the TT bike and sipped pretty much through the hour whilst riding. The overall bike leg results were not conclusive and I’ve not previously done this distance at this race. There are quite a few kms of the bike that are impacted by the traffic of fellow riders on a sometimes narrow and winding course near the Excel centre. Consequently, my average power levels were nothing to brag about. 50% of my power output was Z4 or above and, IIRC, my NP was relatively high in comparison. That’s normally not ideal for me but I did come off the bike still feeling strong and managed a couple of KM running at a half-decent pace before the high temperatures kicked in. I beat my ‘arch rival’ for the first time ever and that was solely because of a superior bike time. I achieved a high top10 Age Group finish, which I was very happy with. No medal (again). Take out: Inconclusive. HVMN certainly had at least a neutral effect ! It probably helped a bit, I’m not sure if two would have helped. I’m not entirely sure what the burn rate is for HVMN whilst exercising. I used two bottles of HVMN on the bike leg of my ‘A’ race for 2018, a HIM. After just over 2 hours on the bike, there was a noticeable drop in performance which I attribute to the HVMN being full metabolised (aka ‘running out’…I could feel it). Nevertheless I medalled in a diminished field and did my best ever HIM time and it was a non-flat course. My run was much stronger than previous HIM runs. Maybe the HVMN helped me conserve carbs for the run? I also experienced less muscle fatigue than previously and MUCH fewer cramps. Leading up to this race my training and tapering had been alright but certainly not perfect. There were a few other race-day factors that could be involved in the explanation for a good performance such as: a flatter bike course than on my previous PB; and good weather. At $33/bottle this is a product clearly aimed at elite athletes – oh, and triathletes with way too much money. This product raises a dilemma. At $33/bottle it’s not cheap. Yet for a key race you might want to eek out every last chance of a ‘best-ever’ performance and $33 is a small representation of the sum of the investment in your time and kit you have made for the same event. Vittoria Bussi broke the UCI Hour world record on 2018-09-13 while fueling with HVMN Ketone. Vittoria rode 48,007 meters in 1 hour, the furthest that any woman has ever ridden in 1 hour. Just sayin’. TIDBIT: The taste is a little ‘bitter’. I don’t mind a bitter taste normally. But when otherwise consuming vast amounts of sugar in a very long race having this to hide the taste of sugar AND DO SOME GOOD is actually a bit of a godsend. Obviously, I can’t come to any kind of scientific conclusion. Please don’t draw that inference. HVMN Ketone made me stronger over a 100 mile bike race and probably helped in the bike leg of my Half Iron distance PB/PR. I would definitely use it again for ‘special’ endurance races for running, cycling and/or triathlon. If it was much cheaper I would use it frequently. This product has only recently been made commercially available and is only available direct from HVMN. It comes in a box containing 3 bottles. When I last checked the price was US$100/box. Currently, there is no financial benefit I get from you buying at that link. I got 6 bottles free of charge ($200). Nice review! Did you pay import duties? for those sent in the review i got free samples and the manufacturer paid the duties. i’m -pretty sure you will have to pay duties. i’m going to buy somemyself when i get round to it and so have partly looked at it.